April 1, 2019 -- This article is being written while I prepare my presentation for the Northeast Leaders Conference. I would like to share with you some of the ideas I will be presenting. MARCH 6, 2019 -- A Grange Membership Drive should be nothing like an Automobile Test Drive. The welcoming spirit of Grangers has more power than the best used care salesman. It is easier to get new people to a fun gathering that they have an interest in then to approach people out of the context of the Grange and ask them to join. Information to be announced soon. We believe it is the purpose of the Connecticut State Grange Membership Development and Retention Committee to build confidence in our purpose and abilities as an organization so all Grangers and Granges can develop growth and development goals through programs specifically designed to attract and retain members. We believe it is everyone members responsibility to enhance the Grange’s name and presence in each community they serve. 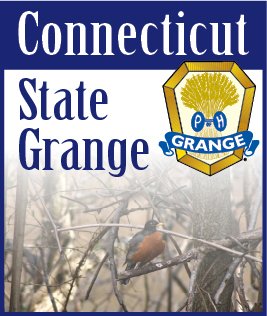 We will communicate regularly through the Connecticut Granger, the Connecticut State Grange Website, and the Connecticut State Grange Membership Facebook page. We will utilize other forms of social media as well. Welcome to our newest Grange members! Plan for membership success in 2008! The time for the Grange is now!